Join UUWR & Matrika Press on this Anthology Adventure!!! 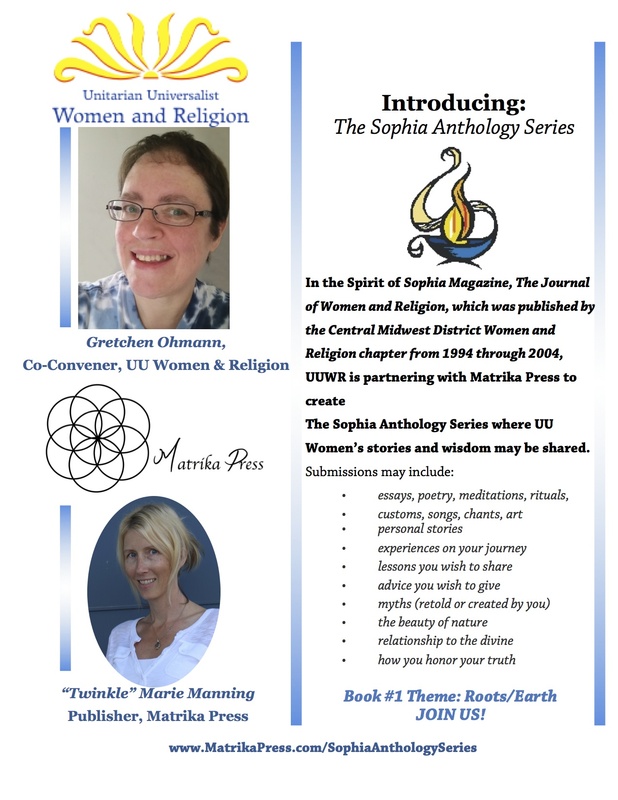 The Sophia Anthology Series where UU Women’s stories and wisdom may be shared. Do you have a favorite book that is currently either out of print, or in the public domain? Collaborate with Matrika Press to resurrect such treasures so they can be available for future generations!